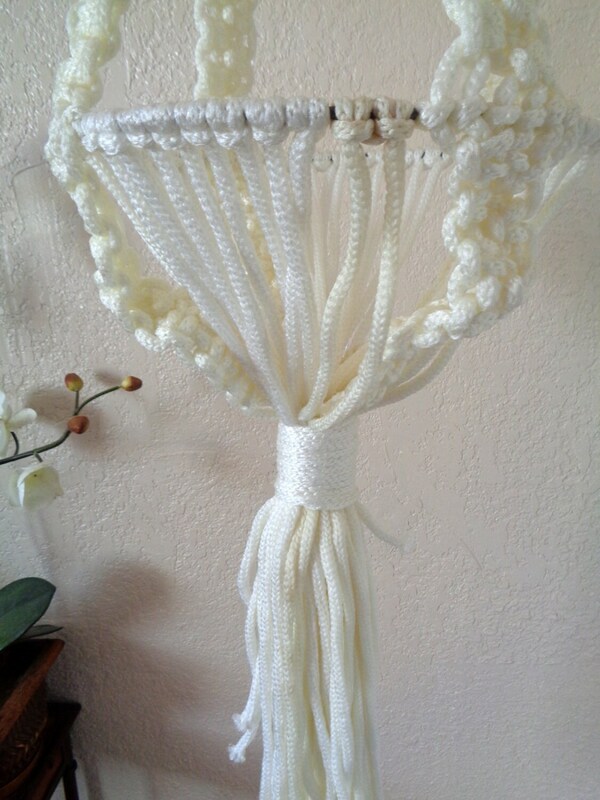 A beautiful vivid bright white macramé color. 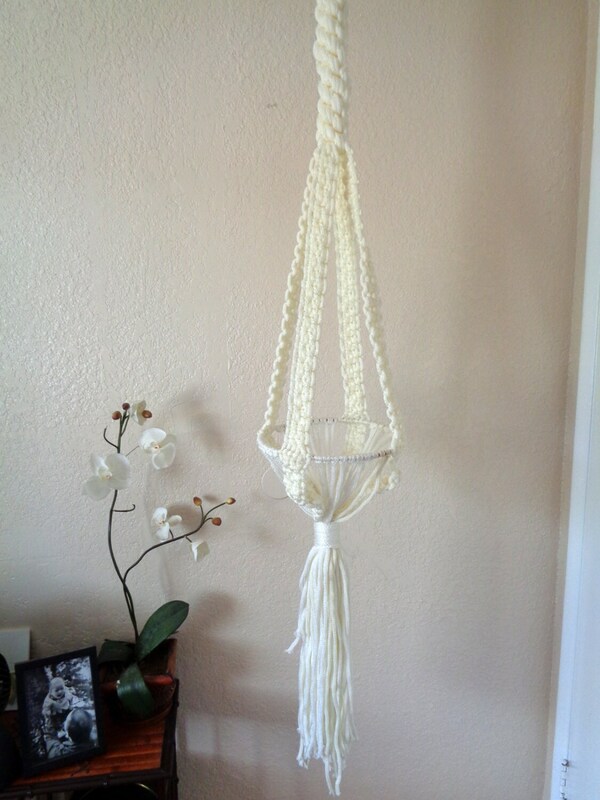 Macramé rope design is very thick, allowing for sturdy display. 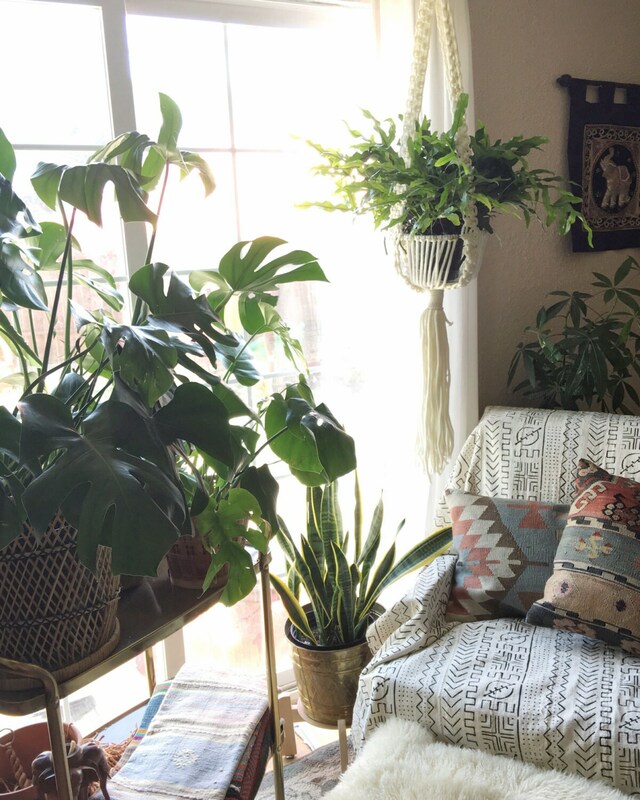 Sturdy ring to rim the perimeter of pots for secure hanging. 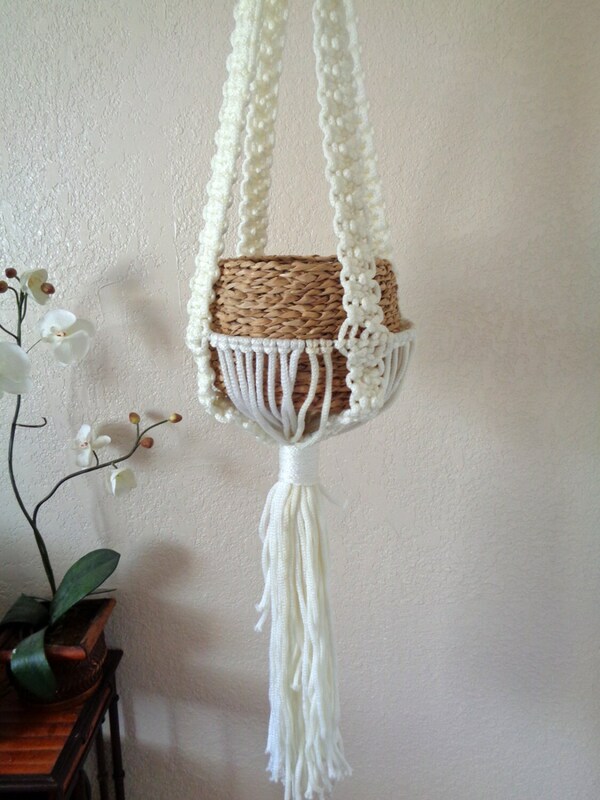 The basket in photos is 8" diameter; ring had more room for larger size. Gently used condition with no rips or tears. 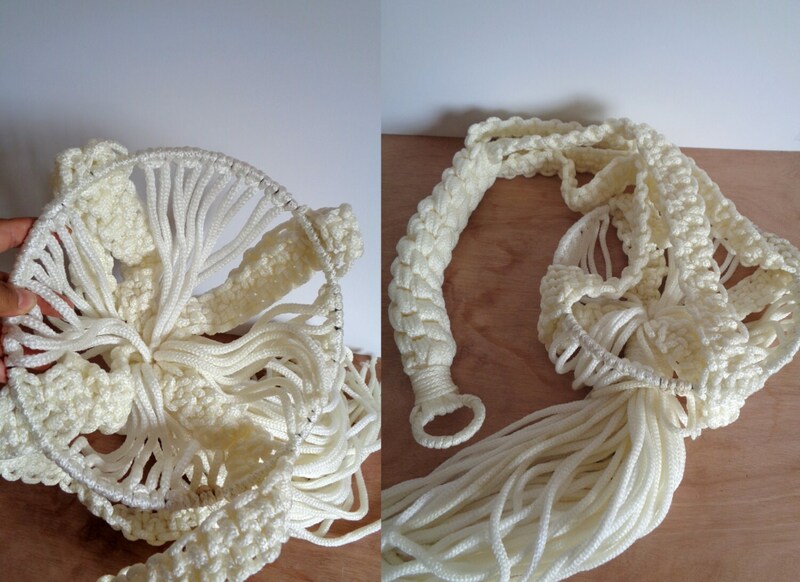 Some parts of rope are slightly discolored (see 3rd photo).